We won our first contract in 2002 while working out of someone’s dining room. Even though we’ve grown a lot (and have real offices now), we’re still a hungry company eager to learn and serve our clients, our communities, and our people. Here’s the story of our journey from Day 1. It all goes back to the summer of 2002 when our founding partners (Greg Harmeyer, Kevin Moore, and Norm Desmarais) combined their individual consulting businesses to form a new learning company called Total Learning Solutions. But when Ford Motor Credit wouldn’t issue them a contract because they weren’t a “tier one” supplier, they decided to adopt a new name: TiER1 Performance Solutions. Changing the name didn’t get the contract, but it did set the stage for bringing in top-quality clients. TiER1’s first projects involved work with FedEx, Rockwell Collins, Fidelity Investments, and Nationwide Insurance. TiER1’s first office was located in Covington, Kentucky, thanks to assistance from the Madison E-Zone entrepreneurship incubator. Later, when we could afford to move out and get a place of our own, we stayed in the neighborhood we had come to call home. In early 2003, we won our first major contract: a project with Wendy’s to train managers in all its North American stores on new systems being released. In 2004, a production version of our learning software platform, now called Performance1, went live with almost 10,000 users. In 2005, TiER1’s government-based business was born. This was also the year we expanded our craft to include creative design. We realized that internal audiences at the companies we worked with deserved the kind of high-quality, engaging, interactive visuals usually reserved for external advertising. What had started as a fledgling side service became a strategic force behind many of our projects. Jumping forward to 2007, we were pretty stoked when TiER1 made Inc. magazine’s inaugural Inc. 5000 list of the fastest growing companies in the country. In 2008, we started projects with local companies Luxottica Retail, Kroger, dunnhumby, and Kao Brands. That same year, TiER1 established a market presence in Denver and won its first Small Business Innovative Research (SBIR) grant from Air Force Research Labs. In 2009, we established co-sourcing relationships with Macy’s, Luxottica, and American Modern. Looking back, 2010 was a big year for us. We pursued work in the growing health care sector and established solid relationships with East Boston Neighborhood Health Center, Catholic Health Initiatives, and Cincinnati Children’s Hospital Medical Center. TiER1 also began searching for new growth opportunities, zeroing in on Pittsburgh-based Motionplan Inc. for acquisition. With a similar culture, great people, and strong clients (including PNC Bank) that could benefit from TiER1’s offerings and models, it was a great match and on June 30, 2010, Motionplan became a part of TiER1. This was also the year we launched the inaugural Cincinnati Scurry, our Amazing Race-like competition to raise money for the Marvin Lewis Community Fund. More good news came in October when TiER1 was named a “Best Place to Work” by the Cincinnati Business Courier. In 2011, TiER1 worked with Gateway Community and Technical College to secure funding for a first-of-its-kind program, an online degree in instructional design. By the end of the year, TiER1 had people in Chicago as well as Denver with significant activity in both markets. In 2012 our headquarters moved a few blocks north to new digs—we still call Covington home, but our offices are a little bigger (and we have a killer view of downtown Cincinnati). The following few years brought some huge global clients such as Procter and Gamble, Kao Brands, AbbVie, and Delta Airlines. We had the opportunity in 2014 to custom-craft a gamified change adoption platform to help our client measure organizational readiness and engage employees in the change. We called it Adoptify, and we went on to successfully use it with several large-scale organizational change projects. 2015 was an exciting year. Two acquisitions (1st Class Solutions and Sealund & Associates) brought on new employees, new clients, and geographical expansion into Indianapolis, IN and Tampa Bay, FL. 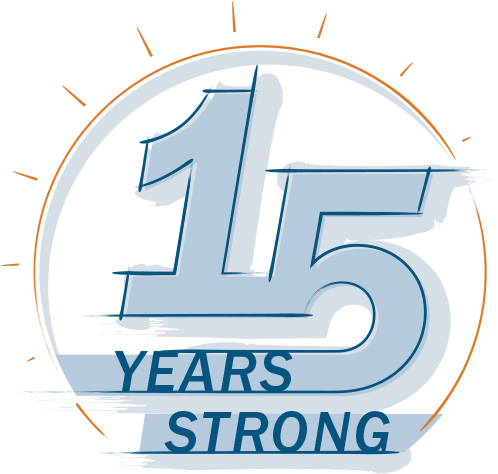 We also reached record revenue, partnered with 31 new clients, acquired two companies, and, for the first time ever, reached 150 employees. That same year, we partnered with the National Alliance on Mental Illness (NAMI) and the Lindner Center of Hope to create Start the Conversation, a program designed to get employees talking about mental health. This free program was made available to any employer hoping to make a difference for their people by reducing the stigma of mental illness so that more people who suffer can get the help they need sooner. In 2016, TiER1 acquired Centurion Systems, solidifying our presence in Atlanta. We also acquired Leadership Beyond Limits and Coach2Lead, which expanded and strengthened our strategic capability of organizational evolution and coaching. That same year, we published our book, The Social Cognitive Neuroscience of Leading Organizational Change, authored by Dr. Rod Snyder. TiER1 was forever changed when, later that year, we became an employee-owned company through our Employee Stock Ownership Plan (ESOP). As shareholders in the company, TiER1ers directly benefit from future financial growth (woo!). We kicked off 2017 with the acquisitions of two leading learning and development companies: Accelerated Business Results (ABR) and NewKnowledge United (NKU). With these acquisitions, we gained nearly 20 new TiER1ers, strengthened our core talent base, and expanded our national reach. Later that year, we reached 200 employees, keeping us on pace with our projected growth of over 40 percent in 2017…which maybe makes it no surprise that we were named to the Inc. 5000 list of fastest-growing companies for the 11th consecutive year. Perhaps the biggest highlight of 2017 was being named to Inc.’s National Best Workplaces for 2017 list. Being recognized as an Inc. Best Workplace was an honor and a testament to the dedication and caliber of our people and the clients who give us the opportunity to shine. Even as we grow, we are blown away by how every employee at TiER1 exemplifies what it means to live out the company values daily. We celebrated the new year in 2018 with the acquisition of IANSITI Performance Group, Inc., a leading learning, strategy, and change implementation company based in Atlanta. Later the year we also acquired Compass Clinical Consulting, an established healthcare consulting services firm that provides clinical and operations performance improvement; accreditation and regulatory compliance; and interim healthcare leadership. Compass operates as a wholly owned subsidiary of TiER1. With the newest additions to our team, it’s no wonder we again made the Inc. 5000 list of fastest-growing companies. In addition to sustained growth, TiER1 also celebrated a renewed focus on the well-being of all people. Our annual Cincinnati Scurry event raised over $30,000 to benefit Cincinnati Children’s Hospital Medical Center’s Adapting for Life, Surviving the Teens education program. For the second year in a row, we were named a Best Workplace by Inc. magazine. Plus, we launched Mercury Executive Development, a subsidiary of TiER1 Performance Solutions, to help executives of small and mid-size organizations with assessing, coaching, and developing culture, leaders, and senior teams. In July 2018, we were extremely proud to become a Certified B Corporation. Certified B Corps meet higher standards of social and environmental performance, transparency, and accountability. It’s like Fair Trade or USDA Organic certifications, but for the whole business—not just a bag of coffee or carton of milk. Since the beginning of TiER1, we’ve always been committed to building a better world. This certification re-energized that commitment and allowed us to become part of a larger network of organizations focused on being best for the world. Since our humble beginnings, we’ve experienced great success, hired amazingly talented people, weathered an economic downturn, developed great relationships with our clients, seen technology change the way people learn, helped our communities, and grown in ways we never dreamed possible. If history is any indication, our future looks pretty bright.